Malawi Defence Force (MDF) has expressed reservations over legislation that will require the army to allow recruitment of HIV positive persons. 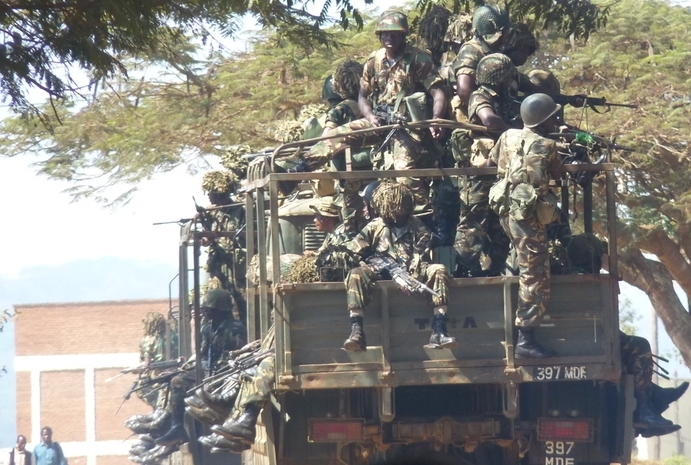 Senior army officers told the National Aids Commission (NAC) on Friday that the MDF should be allowed to force recruits to undergo HIV test before they go for training. “The training for MDF officers is very rigorous. I don’t think an HIV-postive person can withstand it,” Colonel Glandson Madziatera. He made the remarks at the National Police Headquarters in Lilongwe during the HIV and Aids Management and Prevention Act dissemination meeting organised by NAC. However, NAC’s head of policy support and development Andrina Mwansambo said the two cannot be allowed to break the law hence they should review their recruitment and training methods.The Malawi Police also expressed similar concerns and asked that they should be allowed to disregard the law because they deal with security issues. The HIV and Aids (Prevention and Management) Bill was developed by the Malawi Law Commission in 2008 to provide an institutional framework for effective regulation of the prevention and management of the HIV and Aids epidemic in Malawi. It was passed in Parliament in November last year. In Section 27, the legislation prohibits testing before recruitment into employment, but allows the Malawi Defence Force, Malawi Police Service, Malawi Prison Service and Immigration Department to assess applicants’ fitness. The Bill also formally established National Aids Commission, outlining composition of the commission and procedures for appointing commissioners and the chief executive officer.